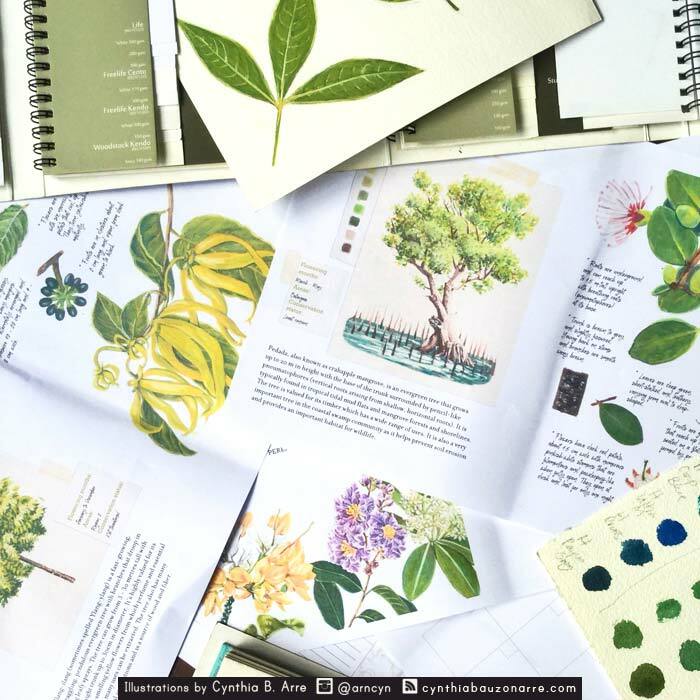 Drawing Philippine Native Trees for forest protection | Cynthia, inside. I also found myself getting interested in endemic species and, through the process I learned about how a lot of our native plants and animals have, since the ’70s and ’80s, lost their habitats due to deforestation. 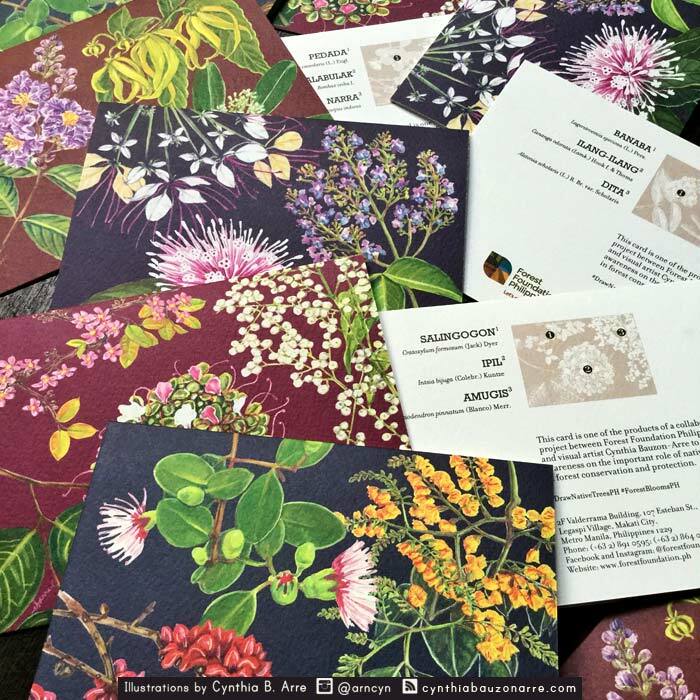 That saddened me because it felt like this was no longer the environment I grew up in so I started drawing Philippine-endemic birds, some of them vulnerable or critically endangered – and putting them on stickers (with info sheets) and notebooks as my small way of bringing attention to them. Some meetings, project proposals, and many brainstorming exchanges later, we thought up a campaign to promote the important role of native trees in forest protection. These greeting cards and a planner (WIP below) are among the products of our collab. If you would like to help advocate forest protection and conservation, check out and join the FFP’s Best Friends of the Forest Movement.